Fortunately, what happened to me recently is not something that happens very often. Let me tell you about it. Way back in February, okay – not WAY back, but long enough ago – I received an email from Isaac Kenneth. He wrote and asked if we would be interested in doing an article about him. What he said was , “I would be honored if you would review my debut country music album….” Here at Country’s Chatter, we are used to emails like that. We get hundreds. We try to listen to all of them, however, we don’t review all of them. We just don’t think some are what our readers would be interested in. And, to be honest, some just aren’t very good. After reading Isaac’s email, I went to Spotify and I listened. And, herein lies the problem. I haven’t stopped listening long enough to put up a review/article like I promised I would! Are you getting the idea this is a good album? If so, rethink that. This is a GREAT album! 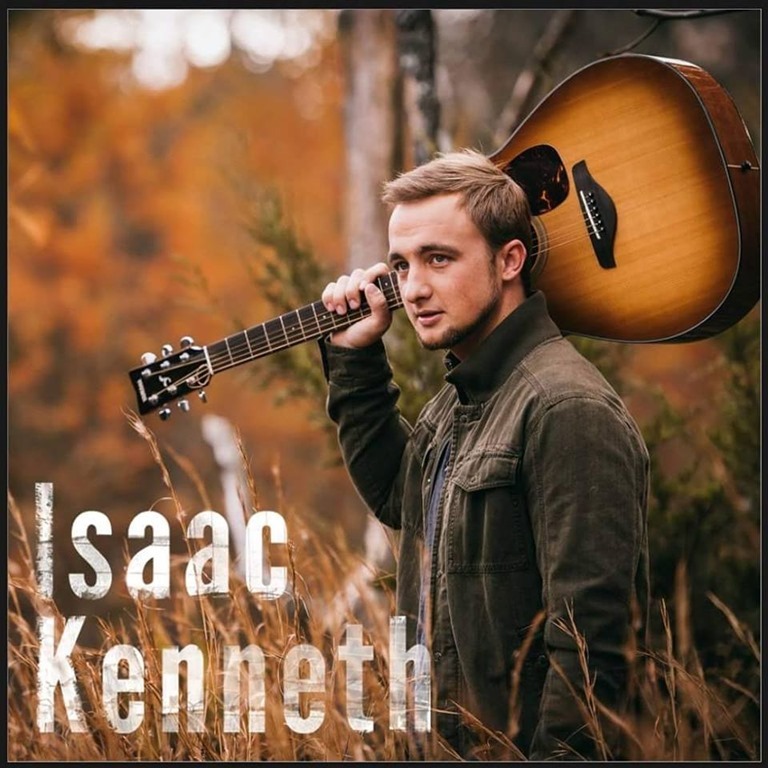 It’s a debut album, self-titled, with all original songs that were written by Isaac, and the album is absolutely wonderful! He has seven songs on this EP, and each one is as good as the one before it. I’m going to say ‘better’ than the last, because every one of them is really, really good. Do I have a favorite? I thought I did. Then I listened to the next one. I’m so anxious for all of you to listen to this music. It’s fine mix of ‘classic country’, contemporary Christian (Gospel), and ‘today’s country’ music. I hope you will head to Spotify and listen, and head over to iTunes and pick up your copy! He lists his genre as Country/gospel. It is evident listening to him speak and watching his videos that he has a faith in God he wants all of us to know about. This is my kind of artist…. 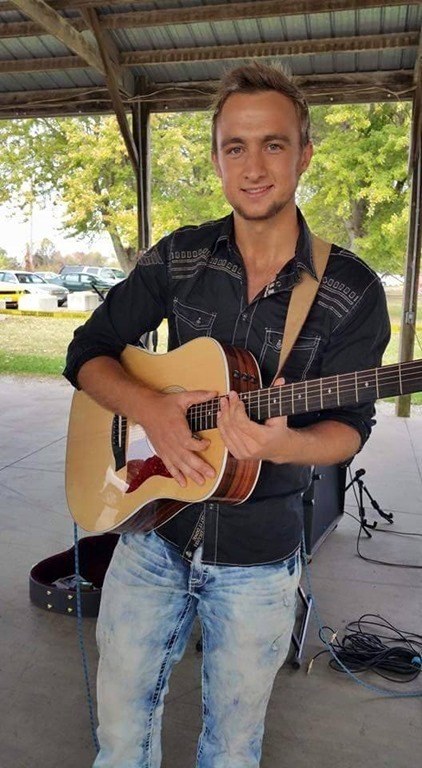 I put him right up there with Scotty McCreery, Josh Turner, Morgan Wallen, Darryl Worley, and others who not only love God, but share that with their fans. Now, let me tell you about this album. Here is your cover; here is your Track List – after that, we’ll give you our thoughts on what we heard, and leave the rest up to you. He starts off with “Love Song Like That” – it’s not really about a song, it’s about a story. He’s talking about falling in love. The way his parents fell in love. 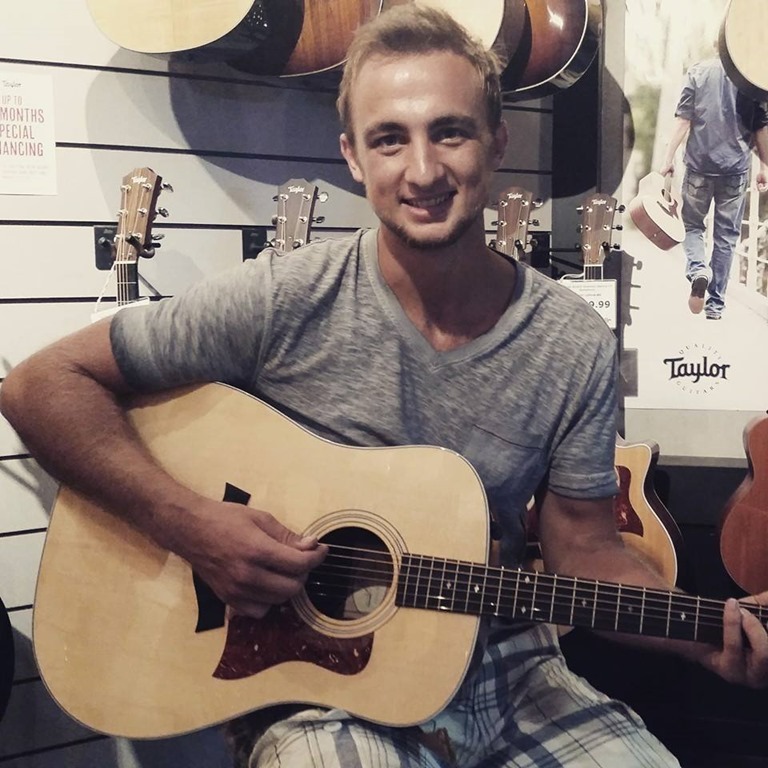 The story this song is telling is so good that you might be listening so close to those lyrics that you are going to miss Isaac’s vocals – but don’t miss them! He’s good. “Sometimes they fight, but then they reach out again, to give another try, I never will forget… I wish I could write a love song like that…” This is the first song on the EP, and because it was, I had a hard time moving on to the second song. I just kept replaying this one. But when I got to No. 2, I was glad I did. “Start With Love” reminded me of being a kid, and what being a kid in the south must be like for just about everyone. “Fresh bread in the oven, a taste of Mama’s lovin’, … Seems I’m always a memory away from the place where I grew up … we’d start with love…” A memory away from the place where I grew up, what a great line! “Out In The Country” is the fastest on the album. So, if you feel like dancing, jump straight to the third track. Again, the lyrics are real, they are a story, they paint a picture. Lyrics are supposed to do that, and in so much of the music we are getting today that doesn’t happen. Isaac has kept that happening from the first song to the last. The music, The vocals, the lyrics, everything about the album is what you can expect from a good country music. Every time I review an album, I get to one song that makes me smile – from the first note to the last. For me, it was “Know Her Name”. What an awesome melody. You can’t help but smile when this one starts. You’ll probably have to stop whatever you are doing when this one comes on – because you need to free your hands up for clapping out that beat. while I love the song, and I like to smile, and I liked clapping along, this is one I think he put on the album for us – not for radio. I’m not sure even ‘today’s country’ stations would pick it up. But, I sure am glad we have it on the album! The next one is “Rainy Day”. It’s slow, it’s kind of sad. But it’s good. Isaac is one of those singers who is really easy to listen to. this is the one, oddly enough, that I wanted to learn the lyrics to. Because even though I don’t sing (at least not very well), I really wanted to sing along. His sister, Abby, joined him on this one – she has a beautiful voice. “Saving Grace” finishes out the EP. It’s another one that tells us a little about who Isaac is, and how Isaac believes. It isn’t just this song that is inspirational. It’s most of the album. I’m hearing things about family values, personal experiences, growing up in a good home. I’m glad I have this one. I’m looking forward to hearing what all of you have to say about the new album, too. In addition to his website, visit his Facebook page, and please remember to “Like” it while you are there. He has a lot to look at on his Instagram, so follow him there. If you have a few minutes and want to catch some videos, head over to YouTube. I really enjoyed his YouTube page! He has ‘trailers’ leading up to the album release; he has a Christmas greeting; he has a cover of Elvis’ “Blue Christmas” (acoustic). The videos on this page are just downright entertaining. You can follow him on Twitter @isaackenneth19. If you aren’t already following Country’s Chatter on Twitter, we’d love to have you. You will find us @countryschatter.